The Universe’s Missing Matter. Found! 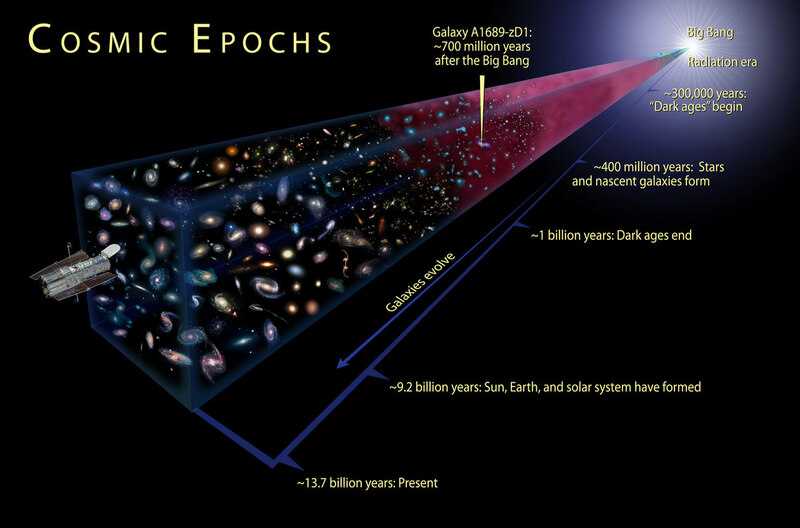 In the 1960s, astronomers began to notice that the Universe appeared to be missing some mass. Between ongoing observations of the cosmos and the the Theory of General Relativity, they determined that a great deal of the mass in the Universe had to be invisible. But even after the inclusion of this “dark matter”, astronomers could still only account for about two-thirds of all the visible (aka. baryonic) matter. This gave rise to what astrophysicists dubbed the “missing baryon problem”. But at long last, scientists have found what may very well be the last missing normal matter in the Universe. According to a recent study by a team of international scientists, this missing matter consists of filaments of highly-ionized oxygen gas that lies in the space between galaxies. The study, titled “Observations of the missing baryons in the warm–hot intergalactic medium“, recently appeared in the scientific journal Nature. The study was led by Fabrizio Nicastro, a researcher from the Istituto Nazionale di Astrofisica (INAF) in Rome, and included members from the SRON Netherlands Institute for Space Research, the Harvard–Smithsonian Center for Astrophysics (CfA), the Instituto de Astronomia Universidad Nacional Autonoma de Mexico, the Instituto Nacional de Astrofísica, Óptica y Electrónica, the Instituto de Astrofísica de La Plata (IALP-UNLP) and multiple universities. For the sake of their study, the team consulted data from a series of instruments to examine the space near a quasar called 1ES 1553. Quasars are extremely massive galaxies with Active Galactic Nuclei (AGN) that emit tremendous amounts of energy. This energy is the result of gas and dust being accreted onto supermassive black holes (SMBHs) at the center of their galaxies, which results in the black holes emitting radiation and jets of superheated particles. In the past, researchers believed that of the normal matter in the Universe, roughly 10% was bound up in galaxies while 60% existed in diffuse clouds of gas that fill the vast spaces between galaxies. However, this still left 30% of normal matter unaccounted for. This study, which was the culmination of a 20-year search, sought to determine if the last baryons could also be found in intergalactic space. This theory was suggested by Charles Danforth, a research associate at CU Boulder and a co-author on this study, in a 2012 paper that appeared in The Astrophysical Journal – titled “The Baryon Census in a Multiphase Intergalactic Medium: 30% of the Baryons May Still be Missing“. In it, Danforth suggested that the missing baryons were likely to be found in the warm-hot intergalactic medium (WHIM), a web-like pattern in space that exists between galaxies. To test this theory, the team used data from the Cosmic Origins Spectrograph (COS) on the Hubble Space Telescope to examine the WHIM near the quasar 1ES 1553. They then used the European Space Agency’s (ESA) X-ray Multi-Mirror Mission (XMM-Newton) to look closer for signs of the baryons, which appeared in the form of highly-ionized jets of oxygen gas heated to temperatures of about 1 million °C (1.8 million °F). First, the researchers used the COS on the Hubble Space Telescope to get an idea of where they might find the missing baryons in the WHIM. Next, they homed in on those baryons using the XMM-Newton satellite. At the densities they recorded, the team concluded that when extrapolated to the entire Universe, this super-ionized oxygen gas could account for the last 30% of ordinary matter. As Prof. Shull indicated, these results not only solve the mystery of the missing baryons but could also shed light on how the Universe began. “This is one of the key pillars of testing the Big Bang theory: figuring out the baryon census of hydrogen and helium and everything else in the periodic table,” he said. Ever since the discovery of Sagittarius A* at the center of our galaxy, astronomers have come to understand that most massive galaxies have a Supermassive Black Hole (SMBH) at their core. These are evidenced by the powerful electromagnetic emissions produced at the nuclei of these galaxies – which are known as “Active Galatic Nuclei” (AGN) – that are believed to be caused by gas and dust accreting onto the SMBH. 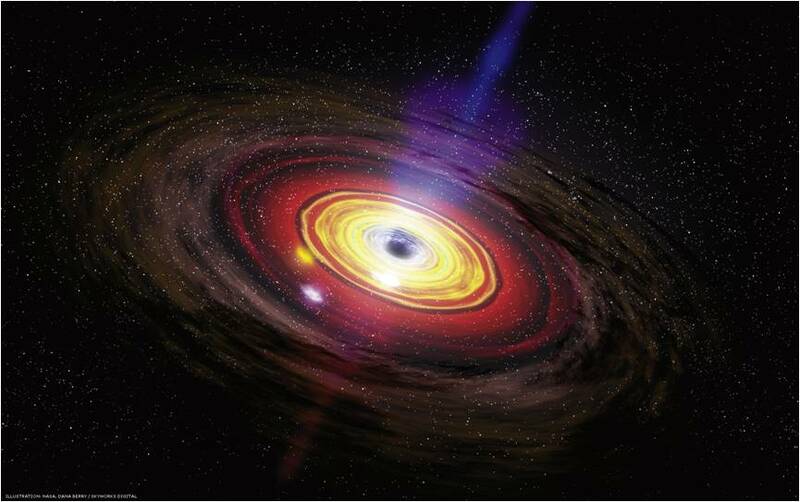 For decades, astronomers have been studying the light coming from AGNs to determine how large and massive their black holes are. This has been difficult, since this light is subject to the Doppler effect, which causes its spectral lines to broaden. But thanks to a new model developed by researchers from China and the US, astronomers may be able to study these Broad Line Regions (BLRs) and make more accurate estimates about the mass of black holes. The study, “Tidally disrupted dusty clumps as the origin of broad emission lines in active galactic nuclei“, recently appeared in the scientific journal Nature. The study was led by Jian-Min Wang, a researcher from the Institute of High Energy Physics (IHEP) at the Chinese Academy of Sciences, with assistance from the University of Wyoming and the University of Nanjing. To break it down, SMBHs are known for having a torus of gas and dust that surrounds them. The black hole’s gravity accelerates gas in this torus to velocities of thousands of kilometers per second, which causes it to heat up and emit radiation at different wavelengths. This energy eventually outshined the entire surrounding galaxy, which is what allows astronomers to determine the presence of an SMBH. The problem with observing these bright regions comes from the fact that the gases within them are moving so quickly in different directions. Whereas gas moving away (relative to us) is shifted towards the red end of the spectrum, gas that is moving towards us is shifted towards the blue end. This is what leads to a Broad Line Region, where the spectrum of the emitted light becomes more like a spiral, making accurate readings difficult to obtain. Currently, the measurement of the mass of SMBHs in active galactic nuclei relies the “reverberation mapping technique”. In short, this involves using computer models to examine the symmetrical spectral lines of a BLR and measuring the time delays between them. These lines are believed to arise from gas that has been photoionized by the gravitational force of the SMBH. In contrast, the team led by Dr. Wang adopted a new type of computer model that considered the dynamics of the gas torus surrounding a SMBH. This torus, they assume, would be made up of discrete clumps of matter that would be tidally disrupted by the black hole, resulting in some gas flowing into it (aka. accreting on it) and some being ejected as outflow. Illustration of the supermassive black hole at the center of the Milky Way. In the end, their new model suggests that tidally disrupted clumps of matter from a black hole torus may represent the source of the BLR gas. Compared to previous models, the one devised by Dr. Wang and his colleagues establishes a connection between different key processes and components in the vicinity of a SMBH. These include the feeding of the black hole, the source of photoionized gas, and the dusty torus itself. While this research does not resolve all the mysteries surrounding AGNs, it is an important step towards obtaining accurate mass estimates of SMBHs based on their spectral lines. From these, astronomers could be able to more accurately determine what role these black holes played in the evolution of large galaxies. The study was made possible thanks with support provided by the National Key Program for Science and Technology Research and Development, and the Key Research Program of Frontier Sciences, both of which are administered by the Chinese Academy of Sciences. In accordance with the Big Bang model of cosmology, shortly after the Universe came into being there was a period known as the “Dark Ages”. This occurred between 380,000 and 150 million years after the Big Bang, where most of the photons in the Universe were interacting with electrons and protons. As a result, the radiation of this period is undetectable by our current instruments – hence the name. Astrophysicists and cosmologists have therefore been pondering how the Universe could go from being in this dark, cloudy state to one where it was filled with light. According to a new study by a team of researchers from the University of Iowa and the Harvard-Smithsonian Center for Astrophysics, it may be that black holes violently ejected matter from the early Universe, thus allowing light to escape. Their study, titled “Resolving the X-ray emission from the Lyman continuum emitting galaxy Tol 1247-232“, recently appeared in the Monthly Notices of the Royal Astronomical Society. Led by Phillip Kaaret, a professor of Physics and Astronomy at the University of Iowa – and supported by an award from the Chandra X-ray Observatory – the research team arrived at this conclusion by observing a nearby galaxy from which ultraviolet light is escaping. This galaxy, known as Tol 1247-232, is a small (and possibly elliptical) galaxy located 652 million light-years away, in the direction of the southern Hydra constellation. This galaxy is one of just nine in the local Universe (and one of only three galaxies close to the Milky Way) that has been shown to emit Lyman continuum photons – a type of radiation in the ultraviolet band. Back in May of 2016, the team spotted a single X-ray source coming from a star-forming region in this galaxy, using the Chandra X-ray observatory. Based on their observations, they determined that it was not caused by the formation of a new star. For one, new stars do not experience sudden changes in brightness, as this x-ray source did. In addition, the radiation emitted by new stars does not come in the form of a point-like source. However, this also raised the question of how a black hole could be emitting matter. This is something that astrophysicists have puzzled over for quite some time. Whereas all black holes have tendency to consume all that is in their path, a small number of supermassive black holes (SMBHs) have been found to have high-speed jets of charged particles streaming from their cores. These SMBHs are what power Active Galactic Nuclei, which are compact, bright regions that has been observed at the centers of particularly massive galaxies. At present, no one is certain how these SMBHs manage to fire off jets of hot matter. But it has been theorized that they could be caused by the accelerated rotational energy of the black holes themselves. Taking this a step further, the team hypothesized that this could be what was responsible for light escaping the “Dark Ages”. Much like the jets of hot material being emitted by SMBHs today, similarly massive black holes in the early Universe could have sped up due to the accretion of matter, spewing out light from the cloudiness and allowing for the Universe to become a clear, bright place. In the future, the UI team plans to study Tol 1247-232 in more detail and locate other nearby galaxies that are also emitting ultraviolet light. This will corroborate their theory that black holes could be responsible for the observed point source of high-energy X-rays. Combined with studies of the earliest periods of the Universe, it could also validate the theory that the “Dark Ages” ended thanks to the presence of black holes. In the 1970s, astronomers became aware of a compact radio source at the center of the Milky Way Galaxy – which they named Sagittarius A. After many decades of observation and mounting evidence, it was theorized that the source of these radio emissions was in fact a supermassive black hole (SMBH). Since that time, astronomers have come to theorize that SMBHs at the heart of every large galaxy in the Universe. Most of the time, these black holes are quiet and invisible, thus being impossible to observe directly. But during the times when material is falling into their massive maws, they blaze with radiation, putting out more light than the rest of the galaxy combined. These bright centers are what is known as Active Galactic Nuclei, and are the strongest proof for the existence of SMBHs. It should be noted that the enormous bursts in luminosity observed from Active Galactic Nuclei (AGNs) are not coming from the supermassive black holes themselves. For some time, scientists have understood that nothing, not even light, can escape the Event Horizon of a black hole. Instead, the massive burst of radiations – which includes emissions in the radio, microwave, infrared, optical, ultra-violet (UV), X-ray and gamma ray wavebands – are coming from cold matter (gas and dust) that surround the black holes. These form accretion disks that orbit the supermassive black holes, and gradually feeding them matter. The incredible force of gravity in this region compresses the disk’s material until it reaches millions of degrees kelvin. This generates bright radiation, producing electromagnetic energy that peaks in the optical-UV waveband. A corona of hot material forms above the accretion disc as well, and can scatter photons up to X-ray energies. A large fraction of the AGN’s radiation may be obscured by interstellar gas and dust close to the accretion disc, but this will likely be re-radiated at the infrared waveband. As such, most (if not all) of the electromagnetic spectrum is produced through the interaction of cold matter with SMBHs. The interaction between the supermassive black hole’s rotating magnetic field and the accretion disk also creates powerful magnetic jets that fire material above and below the black hole at relativistic speeds (i.e. a significant fraction of the speed of light). These jets can extend for hundreds of thousands of light-years, and are a second potential source of observed radiation. Typically, scientists divide AGN into two categories, which are referred to as “radio-quiet” and “radio-loud” nuclei. The radio-loud category corresponds to AGNs that have radio emissions produced by both the accretion disk and the jets. Radio-quiet AGNs are simpler, in that any jet or jet-related emission are negligible. Carl Seyfert discovered the first class of AGN in 1943, which is why they now bear his name. “Seyfert galaxies” are a type of radio-quiet AGN that are known for their emission lines, and are subdivided into two categories based on them. Type 1 Seyfert galaxies have both narrow and broadened optical emissions lines, which imply the existence of clouds of high density gas, as well as gas velocities of between 1000 – 5000 km/s near the nucleus. Type 2 Seyferts, in contrast, have narrow emissions lines only. These narrow lines are caused by low density gas clouds that are at greater distances from the nucleus, and gas velocities of about 500 to 1000 km/s. As well as Seyferts, other sub classes of radio-quiet galaxies include radio-quiet quasars and LINERs. Low Ionisation Nuclear Emission-line Region galaxies (LINERs) are very similar to Seyfert 2 galaxies, except for their low ionization lines (as the name suggests), which are quite strong. They are the lowest-luminosity AGN in existence, and it is often wondered if they are in fact powered by accretion on to a supermassive black hole. Radio-loud galaxies can also be subdivded into categories like radio galaxies, quasars, and blazars. As the name suggests, radio galaxies are elliptical galaxies that are strong emitters of radiowaves. Quasars are the most luminous type of AGN, which have spectra similar to Seyferts. However, they are different in that their stellar absorption features are weak or absent (meaning they are likely less dense in terms of gas) and the narrow emission lines are weaker than the broad lines seen in Seyferts. Blazars are a highly variable class of AGN that are radio sources, but do not display emission lines in their spectra. Historically speaking, a number of features have been observed within the centers of galaxies that have allowed for them to be identified as AGNs. For instance, whenever the accretion disk can be seen directly, nuclear-optical emissions can be seen. Whenever the accretion disk is obscured by gas and dust close to the nucleus, an AGN can be detected by its infra-red emissions. Then there are the broad and narrow optical emission lines that are associated with different types of AGN. In the former case, they are produced whenever cold material is close to the black hole, and are the result of the emitting material revolving around the black hole with high speeds (causing a range of Doppler shifts of the emitted photons). In the former case, more distant cold material is the culprit, resulting in narrower emission lines. Next up, there are radio continuum and x-ray continuum emissions. Whereas radio emissions are always the result of the jet, x-ray emissions can arise from either the jet or the hot corona, where electromagnetic radiation is scattered. Last, there are x-ray line emissions, which occur when x-ray emissions illuminate the cold heavy material that lies between it and the nucleus. These signs, alone or in combination, have led astronomers to make numerous detections at the center of galaxies, as well as to discern the different types of active nuclei out there. In the case of the Milky Way, ongoing observation has revealed that the amount of material accreted onto Sagitarrius A is consistent with an inactive galactic nucleus. It has been theorized that it had an active nucleus in the past, but has since transitioned into a radio-quiet phase. However, it has also been theorized that it might become active again in a few million (or billion) years. When the Andromeda Galaxy merges with our own in a few billion years, the supermassive black hole that is at its center will merge with our own, producing a much more massive and powerful one. At this point, the nucleus of the resulting galaxy – the Milkdromeda (Andrilky) Galaxy, perhaps? – will certainly have enough material for it to be active. The discovery of active galactic nuclei has allowed astronomers to group together several different classes of galaxies. It’s also allowed astronomers to understand how a galaxy’s size can be discerned by the behavior at its core. And last, it has also helped astronomers to understand which galaxies have undergone mergers in the past, and what could be coming for our own someday. We have written many articles about galaxies for Universe Today. Here’s What Fuels the Engine of a Supermassive Black Hole?, Could the Milky Way Become a Black Hole?, What is a Supermassive Black Hole?, Turning on a Supermassive Black Hole, What Happens when Supermassive Black Holes Collide?. For more information, check out Hubblesite’s News Releases on Galaxies, and here’s NASA’s Science Page on Galaxies. Astronomy Cast also has episodes about galactic nuclei and supermassive black holes. Here’s Episode 97: Galaxies and Episode 213: Supermassive Black Holes. Astronomy is, by definition, intangible. Traditional laboratory-style experiments that utilize variables and control groups are of little use to the scientists who spend their careers analyzing the intricacies our Universe. Instead, astronomers rely on simulations – robust, mathematically-driven facsimiles of the cosmos – to investigate the long-term evolution of objects like stars, black holes, and galaxies. Now, a team of European researchers has broken new ground with their development of the EAGLE project: a simulation that, due to its high level of agreement between theory and observation, can be used to probe the earliest epochs of galaxy formation, over 13 billion years ago. The EAGLE project, which stands for Evolution and Assembly of GaLaxies and their Environments, owes much of its increased accuracy to the better modeling of galactic winds. Galactic winds are powerful streams of charged particles that “blow” out of galaxies as a result of high-energy processes like star formation, supernova explosions, and the regurgitation of material by active galactic nuclei (the supermassive black holes that lie at the heart of most galaxies). These mighty winds tend to carry gas and dust out of the galaxy, leaving less material for continued star formation and overall growth. Previous simulations were problematic for researchers because they produced galaxies that were far older and more massive than those that astronomers see today; however, EAGLE’s simulation of strong galactic winds fixes these anomalies. By accounting for characteristic, high-speed ejections of gas and dust over time, researchers found that younger and lighter galaxies naturally emerged. The upshots of this new work are not limited to scientists alone; you, too, can explore the Universe with EAGLE by downloading the team’s Cosmic Universe app. Videos of the EAGLE project’s simulations are also available on the team’s website. A paper detailing the team’s work is published in the January 1 issue of Monthly Notices of the Royal Astronomical Society. A preprint of the results is available on the ArXiv. 50 million light-years away a quasar resides in the hub of galaxy NGC 4438, an incredibly bright source of light and radiation that’s the result of a supermassive black hole actively feeding on nearby gas and dust (and pretty much anything else that ventures too closely.) Shining with the energy of 1,000 Milky Ways, this quasar — and others like it — are the brightest objects in the visible Universe… so bright, in fact, that they are used as beacons for interplanetary navigation by various exploration spacecraft. Deep-space missions require precise navigation, especially when approaching bodies such as Mars, Venus, or comets. It’s often necessary to pinpoint a spacecraft traveling 100 million km from Earth to within just 1 km. To achieve this level of accuracy, experts use quasars – the most luminous objects known in the Universe – as beacons in a technique known as Delta-Differential One-Way Ranging, or delta-DOR. Delta-DOR uses two antennas in distant locations on Earth (such as Goldstone in California and Canberra in Australia) to simultaneously track a transmitting spacecraft in order to measure the time difference (delay) between signals arriving at the two stations. Unfortunately the delay can be affected by several sources of error, such as the radio waves traveling through the troposphere, ionosphere, and solar plasma, as well as clock instabilities at the ground stations. Delta-DOR corrects these errors by tracking a quasar that is located near the spacecraft for calibration — usually within ten degrees. The chosen quasar’s direction is already known extremely well through astronomical measurements, typically to closer than 50 billionths of a degree (one nanoradian, or 0.208533 milliarcsecond). The delay time of the quasar is subtracted from that of the spacecraft’s, providing the delta-DOR measurement and allowing for amazingly high-precision navigation across long distances. So even though the quasar in NGC 4438 is located 50 million light-years from Earth, it can help engineers position a spacecraft located 100 million kilometers away to an accuracy of several hundred meters. Now that’s a star to steer her by! Read more about Delta-DOR here and here. Understanding the formation of stars and galaxies early in the Universe’s history continues to be somewhat of an enigma, and a new study may have turned our current understanding on its head. A recent survey used archival data from four different telescopes to analyze hundreds of galaxies. The results provided overwhelming evidence that radio jets protruding from a galactic center enhance star formation – a result that directly contradicts current models, where star formation is hindered or even stopped. All early galaxies consist of intensely luminous cores powered by huge black holes. These so-called active galactic nuclei, or AGN for short, are still the topic of intense study. One specific mechanism astronomers are studying is known as AGN feedback. “Feedback is the astronomer’s slang term for the way in which an AGN – with its large amount of energy release – influences its host galaxy,” Dr. Zinn, lead researcher on this study, recently told Universe Today. He explained there is both positive feedback, in which the AGN will foster the main activity of the galaxy: star formation, and negative feedback, in which the AGN will hinder or even stop star formation. Current simulations of galaxy growth invoke strong negative feedback. Zinn et al. found strong evidence that this is not the case for a large number of early galaxies, claiming that the presence of an AGN actually enhances star formation. In such cases the total star formation rate of a galaxy may be boosted by a factor of 2 – 5. Furthermore the team showed that positive feedback occurs in radio-luminous AGN. There is strong correlation between the far infrared (indicative of star formation) and the radio. Now, a correlation between the radio and the far infrared is no stranger to galactic astronomy. Stars form in extremely dusty regions. This dust absorbs the starlight and re-emits it in the far infrared. The stars then die in huge supernova explosions, causing powerful shock-fronts, which accelerate electrons and lead to the emission of strong synchrotron radiation in the radio. This new finding conveys that the exact mechanisms in which AGN interact with their host galaxies is much more complicated than previously thought. Future observations will likely shed a new understanding of the evolution of galaxies. but also data from Hubble, Herschel and Spitzer. The results will be published in the Astrophysical Journal (preprint available here). Over the years, researchers have taken myriad observations of black holes and their environs, but now ESO’s Very Large Telescope Interferometer is giving us the most detailed look of the dust around a black hole at the center of an active galaxy ever obtained. Originally expected to be contained within the ring-shaped torus around the black hole, the observation held a surprise as astronomers discovered that a significant amount of the dust was located both above and below the torus. What can this mean? According to the latest findings and contrary to popular theory, it is possible the dust is being evacuated from the region as a cool wind. For the last two decades, astronomers have discovered that nearly all galaxies harbor a black hole at their hearts. In many cases, these monsters increase in size by accreting matter from the immediate vicinity. This, in turn, is responsible for the creation of active galactic nuclei (AGN), one of the most energetic objects in the Universe. Surrounding the super-luminous giants are rings of cosmic dust which originate from space – drawn in like water swirling down a dark drain. According to theory, the intense infrared radiation exerted by AGN must have originated from these dusty eddies. Thanks to the powerful eye of the Very Large Telescope Interferometer (VLTI) at ESO’s Paranal Observatory in Chile, astronomers have now seen something new in a nearby active galaxy cataloged as NGC 3783. While they observed the expected hot dust clocking in at some 700 to 1000 degrees Celsius, what they also observed confounded them… Huge amounts of cooler dust both above and below the main torus. Is this a black hole teething ring? From their observations, the researchers suspect the newly-discovered dust is flowing outward from the central black hole. This means the wind most likely plays a critical part in the tangled relationship of both the black hole and its surroundings. Apparently the black hole pulls immediate material into it, but the incredible amount of radiation this produces also seems to be pushing it away. Scientists are far from clear as to how these two processes work together, but the discovery of this dusty wind could lead to a better understanding of their evolution. To get the resolution needed to study the core area of NGC 3783, astronomers needed to use the combined power of the Unit Telescopes of ESO’s Very Large Telescope. Through this union, an interferometer is created – one capable of “seeing” with the equivalent of a 130-meter telescope. What do these new observations mean to the world of astronomy? It might very well change the pattern of how we currently understand AGN. With proof that dust is being expelled by intense radiation, new models must be created – models which include this recent information of how dust can be distributed. Hönig concludes, “I am now really looking forward to MATISSE, which will allow us to combine all four VLT Unit Telescopes at once and observe simultaneously in the near- and mid-infrared — giving us much more detailed data.” MATISSE, a second generation instrument for the VLTI, is currently under construction. When it comes to sheer wattage, blazars definitely rule. As the brightest of active galactic nuclei, these sources of extreme high-energy gamma rays are usually associated with relativistic jets of material spewing into space and enabled by matter falling into a host galaxy’s black hole. The further away they are, the dimmer they should be, right? Not necessarily. According to new observations of blazar PKS 1424+240, the emission spectrum might hold a new twist… one that can’t be readily explained. The Fermi Gamma-ray Space Telescope was the first instrument to detect gamma rays from PKS 1424+240, and the observation was then seconded by VERITAS (Very Energetic Radiation Imaging Telescope Array System) – a terrestrially based tool designed to be sensitive to gamma-rays in the very high-energy (VHE) band. However, these weren’t the only science gadgets in action. To help determine the redshift of the blazar, researchers also employed the Hubble Space Telescope’s Cosmic Origins Spectrograph. To help understand what they were seeing, the team then set a lower limit for the blazar’s redshift, taking it to a distance of at least 7.4 billion light-years. If their guess is correct, such a huge distance would mean that the majority of the gamma rays should have been absorbed by the extragalactic background light, but again the answers didn’t add up. For that amount of absorption, the blazar itself would be creating a very unexpected emission spectrum. “We’re seeing an extraordinarily bright source which does not display the characteristic emission expected from a very high-energy blazar,” said Amy Furniss, a graduate student at the Santa Cruz Institute for Particle Physics (SCIPP) at UCSC and first author of a paper describing the new findings. Bright? You bet. In this circumstance it has to over-ride the ever-present extragalactic background light (EBL). The whole Universe is filled with this “stellar light pollution”. We know it’s there – produced by countless stars and galaxies – but it’s just hard to measure. What we do know is that when a high-energy gamma ray photo meets with a low-energy EBL photon, they essentially cancel each other out. It stands to reason that the further a gamma ray has to travel, the more likely it is to encounter the EBL, putting a limit on the distance to which we can detect high-energy gamma ray sources. By lowering the limit, the new model was then used to ” calculate the expected absorption of very high-energy gamma rays from PKS 1424+240″. This should have allowed Furniss’ team to gather an intrinsic gamma-ray emission spectrum for the most distant blazar yet captured – but all it did was confuse the issue. It just doesn’t coincide with expected emissions using current models. Original Story Source: University of California Santa Cruz News Release. For further reading: The Firm Redshift Lower Limit of the Most Distant TeV-Detected Blazar PKS 1424+240.